as "Nehalem" # 839, for U.M.S.C. arrived 02.07.1965 (l.u. 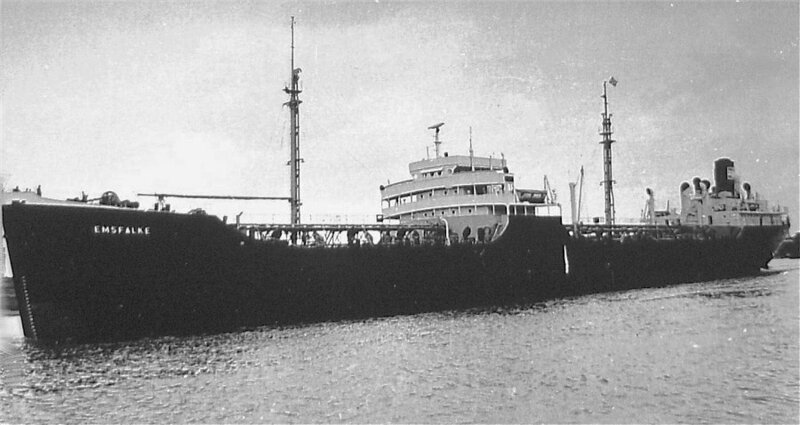 Emden 08.1963). 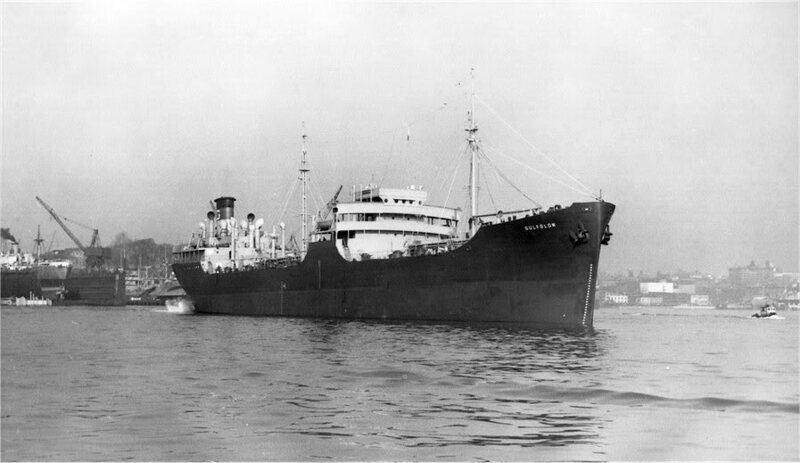 The Miramar Ship Index for "NEHALEM"
The S.S. "GULFGLOW", continuing to Sparrows Point, with a cargo of Bunker C-oil, for Bethlehem Steel Company. 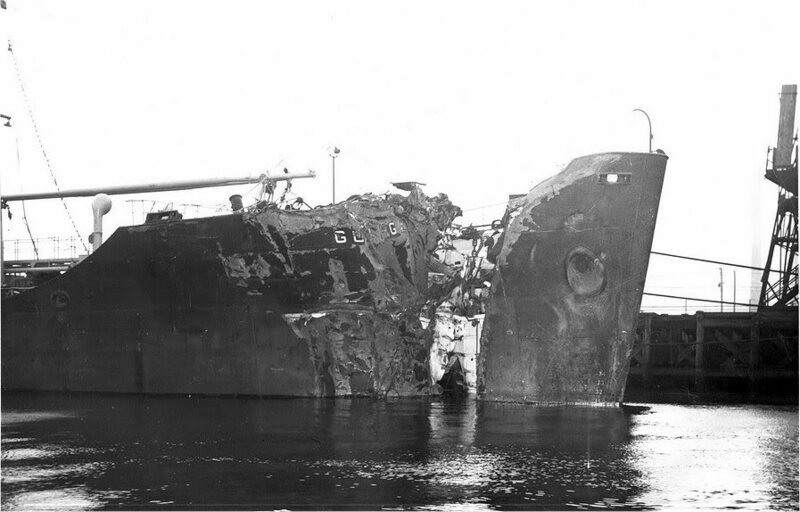 The damage to her starboard bow is evident. 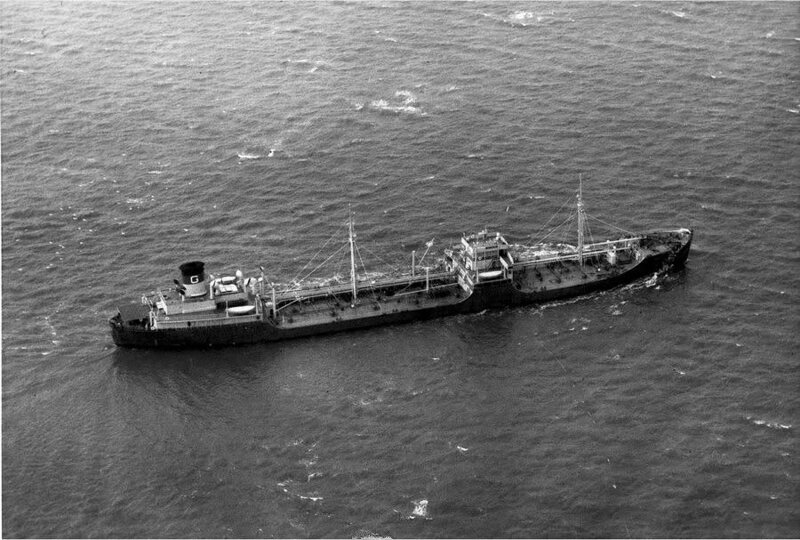 Picture taken between Smith Point and Sparrows Point, Time: 12:30 PM, Wednesday, March 5, 1952. The ship arrived at Bethlehom Steel Company, Sparrows Point, for the purpose of discharging her cargo. Time of arrival: 5:00 PM. Wednesday. March, 1952. 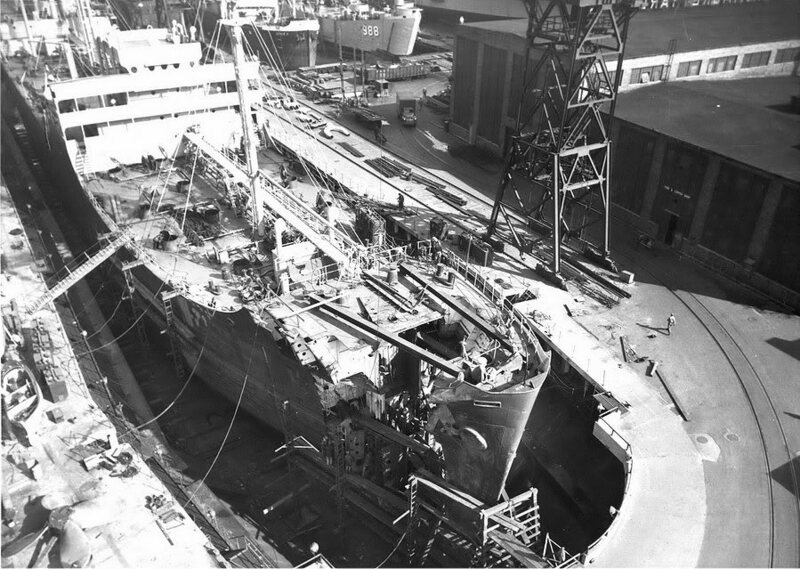 Overall-view showing I beam members secured to forecastle deck to hold the ship in alignment. Also showing staging and crane removing a piece of scrap. March, 1952, 3:20 PM. Leaving Pier # 1, showing the 20,000 ton dock and the Baltimore Yard in the background. Job completed. Ship underway. Time: 8:00 AM, March 29, 1952. "Emsfalke", ex. "Gulfglow", ex. "Nehalem".